Just as an FYI, whilst PETA is legitimate, I don't always find them to be a completely reliable source especially when it comes to their 'Do Not Test' list, however, Illamasqua have proven to be cruelty free pre-accreditation and so for them, it's yet another string to their bow considering PETA is such a huge name and probably the largest animal rights organisation whether you fully trust them or not. Alas, this comes at the same time as the release of their vegan product list of over 300 items, which now even holds its own special section on the website and includes best-sellers such as the Skin Base Foundation, a fragrance, lacquers in all shades and finishes and a range of makeup brushes. 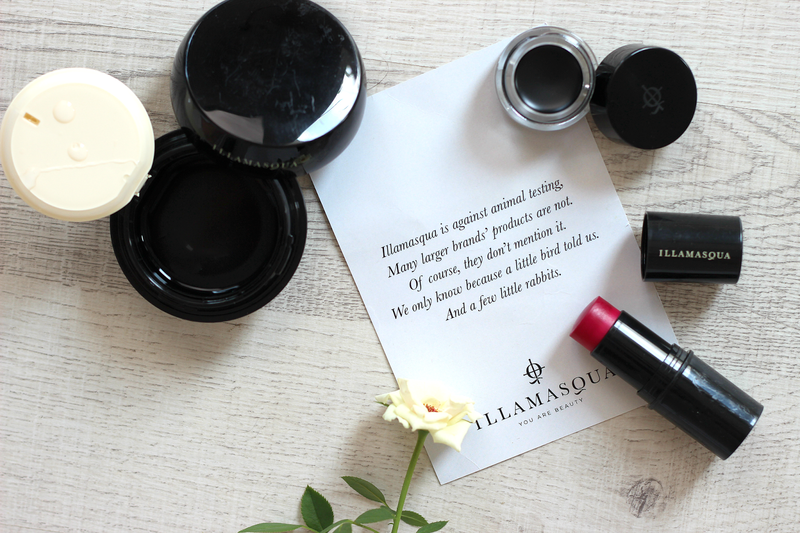 In celebration, Illamasqua have called all beauty lovers to create a #BeautyNotBrutality look using a variety of their vegan-friendly products. If you caught my July Favourites, you'll know their Hydra Veil has been my go-to base of choice; unlike any other prepping or priming steps I opt for, this one comes as a hydrating gel which self-levels on the skin and dries totally smooth leaving skin feeling refreshed and ready for a foundation application. For my dry skin, it's been a total dream - plant extracts, B and C vitamins and microalgae maintain moisture levels throughout the day and all help to create a healthy, natural look, plus my makeup has never glided on so smooth. 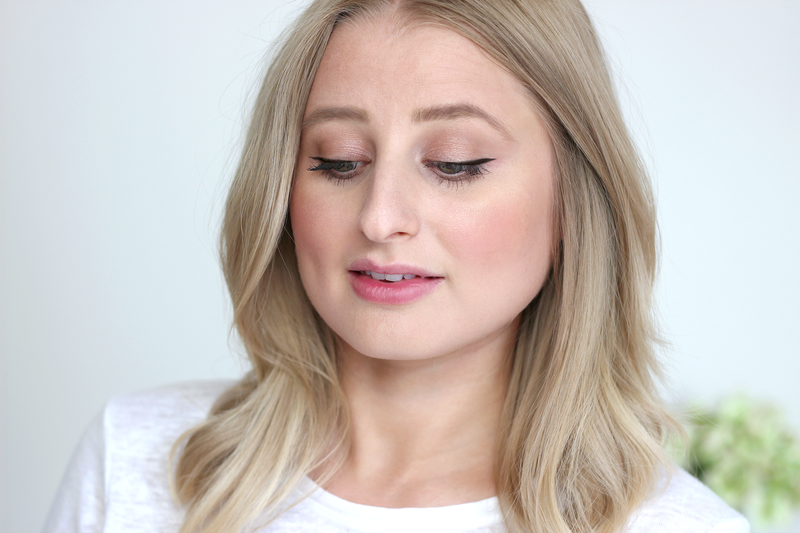 For a bit of a cat-eye-flick, I've been swiping on their Precision Gel Liner in 'Infinity', a jet black definer which makes my lash line look a whole lot fuller - it hangs about long-time too and once it's set it's there to stay. To inject a pop of colour, their Gel Colour in 'Fluster' in a twist-up stick is what I've been reaching for just to dab on the lips and cheeks for a bit of a fuchsia flush, but it's completely build-able if you're wanting to go all out for a look that's more intense.